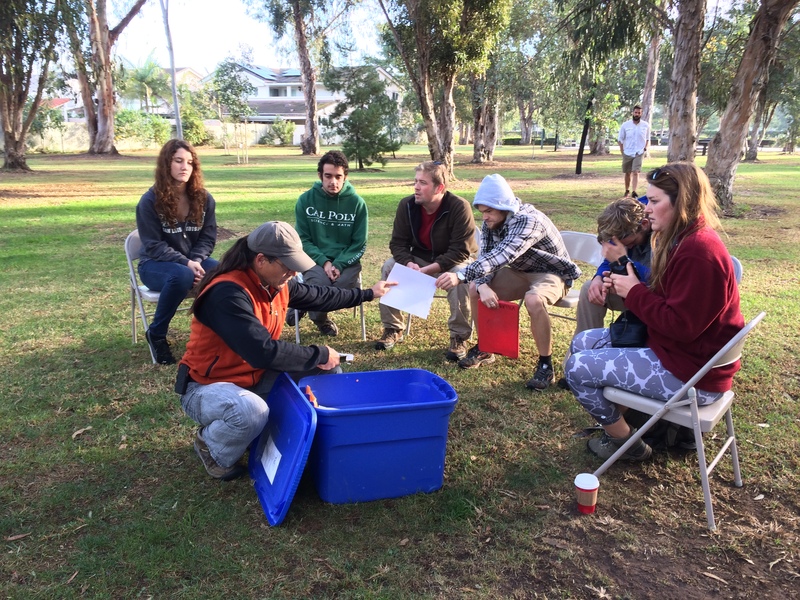 November 24, 2014: Professor Francis Villablanca and his research team from the Biological Sciences Dept. 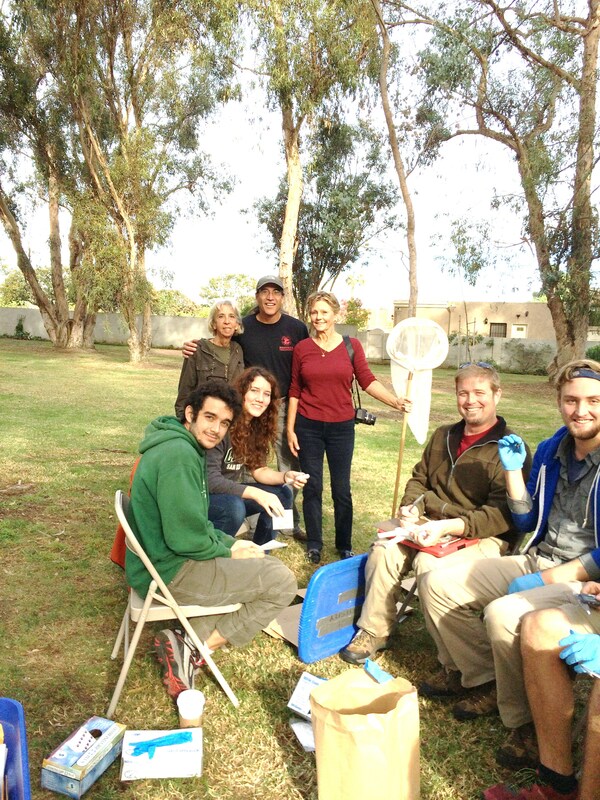 at Cal Poly State University San Luis Obispo conducted a day of tagging and research on 50 butterflies. 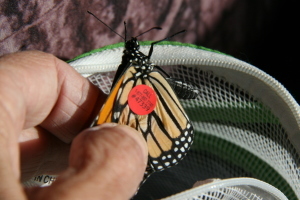 The butterflies were tagged with purple tags. 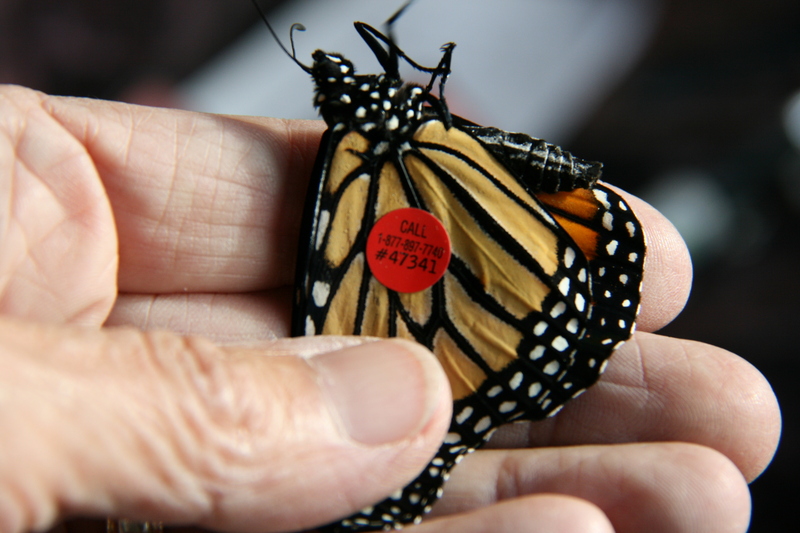 They were tested for a disease specific to monarchs, wings measured, body density recorded, and females checked for eggs. Samples of the 4th instar caterpillars were taken back to their lab at school. Every third milkweed was checked. 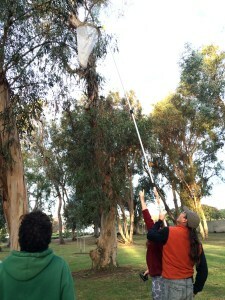 Some chrysalis were found and taken back to their lab. 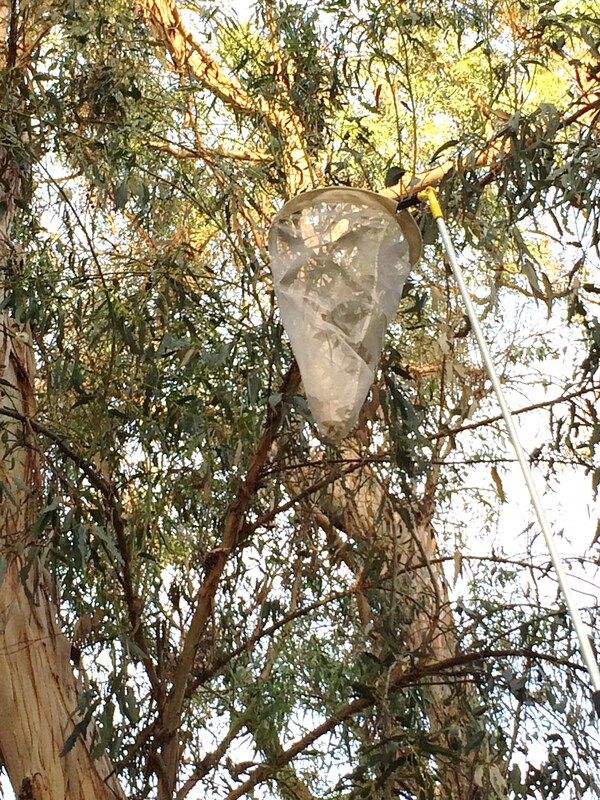 We ask the public to please let us know if they see a purple tagged butterfly mating or laying eggs. You don’t need the tag number just the fact that they were laying and what day. You can contact Leslie by phone 714 335 5051 or email lesliegilson@hotmail.com. 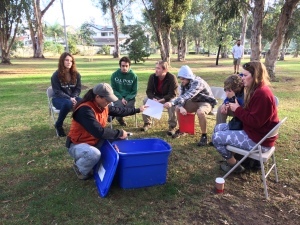 November 11, 2014: Bryan Burks from the LA Arboretum and Monika U. Moore from Cal Poly San Luis Obispo released five male monarchs. 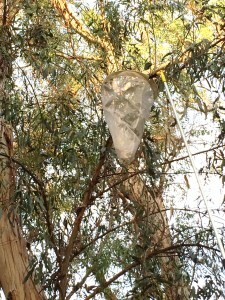 2 of which were recaptured at the Park and are pictured.